NEW YORK (WABC) -- The NYPD needs your help locating a man they say has been robbing gym-goers over the last several months across Manhattan. 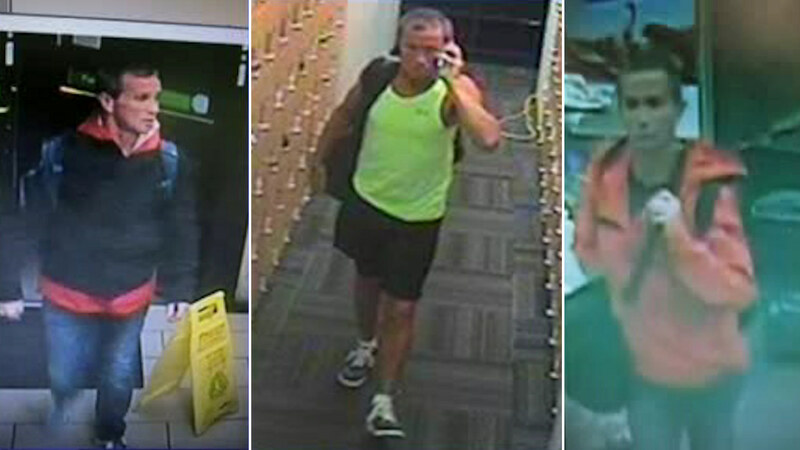 Police say that the man seen in the above surveillance photos has been stealing from lockers at several different New York Sports Club's in Midtown, Gramercy Park, Greenwich Village, and Chelsea going back to last September. There have been 15 reported incidents in which the suspect stole wallets, cash, credit cards, keys, shoes, headphones, clothing, laptops, tablets, phones, and backpacks from some lockers that were unlocked and others where he cut the locks off.